We’ve all seen Eastern Promises, right? Or you’re at least aware of it, I assume? If you haven’t been living in a ’50’s-style bomb shelter, then you remember tatted-up Viggo Mortensen as a Russian gangster in Eastern Promises. The Mark of Cain is a documentary about the significance of tattoos in Russian prison culture (which would explain how Mortensen’s character got all those tattoos, right?). What starts out as a documentary about tattoos and their meanings also takes on an interesting, if saddening, look at Russian prison life. Tattoos are symbolic in Russian prison culture. Each symbol represents a variety of things; cupolas on churches represent the number of convictions a convict has, epaulets tattooed on shoulders represent the rank of the individual in the crime world and so on and so forth. The Mark of Cain examines every aspect of the tattooing, from the actual creation of the tattoo ink, interviews with the tattooers and soberly looks at the double-edged sword of prison tattoos. In many ways, they were needed to survive brutal Russian prisons, but mark the prisoner for life, which complicates any readmission to “normal” society they may have. Tattoos expressly identify what the convict has been convicted of, how many prisons he’s been in and what kind of criminal he is. Tattoos, essentially, tell you everything you need to know about that person without ever asking. The documentarians interview prisoners, criminologists and the men who run the prisons. What comes out of these interviews and the extensive footage of both men and women’s prisons is not necessarily just a culture of tattooing, but a violent, brutal system that engenders the necessity of the protection of tattoos in many ways. It’s not the only reason, but it appears to be a large factor in the spawning and flourishing of tattoo culture. The unflinching look at the Russian prison system is slowly woven into the film. Cells meant to hold 15 hold 35 to 45 men. Drug-resistant TB runs rampant through the prison populations and prisoners are served three meals a day of watery slop. There are allegations of brutality by the guards. As these men deal with pestilence, violence and grossly substandard living conditions, the prison guards and administration put on a talent show. Tattooing for symbolism is on the decline, but the film shows the remorse and regret of the prisoners who do have them, mainly for what each tattoo means. Some of the prisoners express fear at reintegrating into society. Some entered into the system while Russia was still the U.S.S.R., meaning they must re-enter society as outcasts while simultaneously adjusting to a completely new country. Many of the prisoners express disgust at the prison system in general – thievery gets you a harsher sentence than killing someone, for example, and many of the prisoners convey a universal repugnance at the system that has fostered illness, malnutrition and a sad standard of living. It is not only the prisoners that feel disgust; one of the experts they interview is less than pleased with the system and some of the family members of inmates are interviewed. The families worry over their sons eating enough; they send food and rations into the prisons, hoping their sons will get some scraps since they understand they are not fed enough. Corruption in the Russian prison system is merely hinted at here, as the relatives confess they know their family members may not even receive a tenth of what they send. The rest will be “confiscated”. The Mark of Cain is an excellent documentary. While the subject matter is sad, it’s worth a watch. It tackles a sprawling bureaucratic prison system, humanizes it, shows its faults and an interesting culture that has spawned partially out of necessity, without a heavy hand and without going overboard on the moralizing. It presents a variety of viewpoints on Russian prison life. Depressing, but oddly interesting, it’s a strange and worthwhile look. I don’t do documentaries often here. I should, but often I have to take a little while longer than other movies to process and digest the film and spit out my opinions on a documentary than say, oh, a Brett Ratner film. Dengue Fever is a band from Los Angeles with a very distinctive style. Lead singer Chhom Nimol is Cambodian. Dengue Fever’s music is inspired by the Cambodian rock of the ’60’s and Nimol sings in Khmer. When was the last time you heard Cambodian rock music? Sleepwalking Through The Mekong is a film about the band’s tour of Cambodia. It should be noted that while Nimol is from Cambodia, the rest of the band is all-American. In a way, the beginning of the film is a strong bit of culture shock. The band is already in Cambodia, performing and touring, and as they make their way through their trip, their story begins to unfold and the Americans begin to become more at ease with the country itself. At first, the film seems to be straightforward: an American band playing Khmer rock music travels to the far-off land that has inspired their music. It becomes much more than just that simple fact. Past and present begin to overlap as the band members discuss what made them interested in Khmer music in the first place. Cambodian rock ‘n’ roll pioneers never known to American culture are spoken of with reverence and affection. The film subtly injects a small dose of Cambodian rock history when the band members explain where their influences come from while a wide variety of Cambodian locations are explored. The band plays in bars packed with patrons and traverses teeming streets; footage of Cambodia from years gone by is gently layered into the film. It’s a feeling of looking at what was Cambodia once…and what Cambodia is now. The film gradually evolves into discussing more of Cambodia’s music while exploring the destructive power of the Vietnam War and the subsequent rise of Pol Pot and the Khmer Rouge. Pot’s regime decimated not only the people of Cambodia, but Cambodian music and art as well. It’s a sad truth that’s hammered home when Dengue Fever takes time out to record with artists playing traditional Cambodian instruments. Many of these musicians are elderly or at least, much older than the band themselves, and they are struggling to pass down their knowledge to a new generation so the music, essentially, does not die with them. It becomes a poignant look at Cambodia’s music scene and Cambodia in general, without deviating from the main subject of the band — which can be tricky. The filmmakers pull it off with ease, though, and even through exploring the varied landscape and people and sights of Cambodia, the music of Dengue Fever remains the same. It’s the lynchpin of the film and obviously the film wouldn’t be anywhere near as good as it is if it weren’t for how good Dengue Fever is as a band. Chhom Nimol’s voice is amazing. I’ve been walking around for two weeks (I told you – takes time to digest) with the band’s music rolling around in my brain. It’s beautiful stuff; uplifting and upbeat at times, but some of their music is damn haunting. It makes a gorgeous soundtrack for a film that’s a damn good experience. If you can get your hands on a copy…I recommend it. I got an e-mail forwarding this one to me from someone involved in the film and as far as documentaries go, I’ll let you guys make the judgments. I will say that I enjoyed Crawford and that I think that it’s not only well done, it gives ample face time to a variety of viewpoints in the town and gives you a good sense of at least what small town Texas is like. I think it’s well worth your time to watch. The basic premise is this: profiling a small town after George Bush moves into town on the eve of his first run for President. Crawford is available through Hulu, so that means I can embed it here for you fine folks for you to watch (with minimal commercial interruptions). Or not. GO HERE TO WATCH. 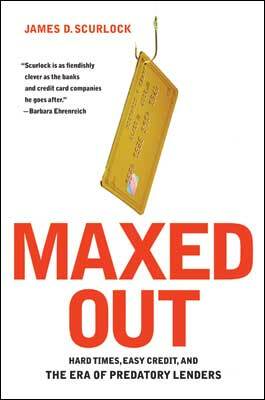 Maxed Out is a documentary much in the same way Michael Moore’s movies are documentaries. It’s the story of a few people who have their lives ruined by credit and credit card companies. 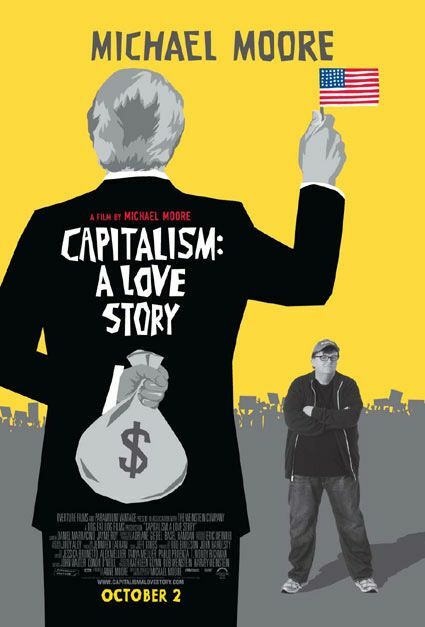 They take the same schtick Michael Moore uses (which is an effective one, at that) to portray the evils of the credit card industry. That’s genuinely the only problem I have with Maxed Out. You don’t hear from the card companies, but you do hear from the collectors they sell their debt off to, and you hear from the people who made uninformed, bad decisions (or whose children made questionable decisions) and you see the difficult path it has set them on. Moreover, the film shows credit card companies in league with the government, buying off Congress and the President to weaken bankruptcy laws to make it harder for consumers to get out of credit card debt.